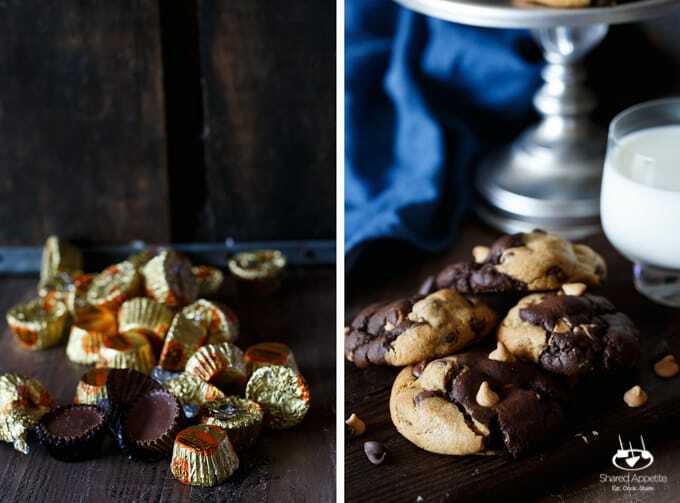 Don’t choose between chocolate and peanut butter. 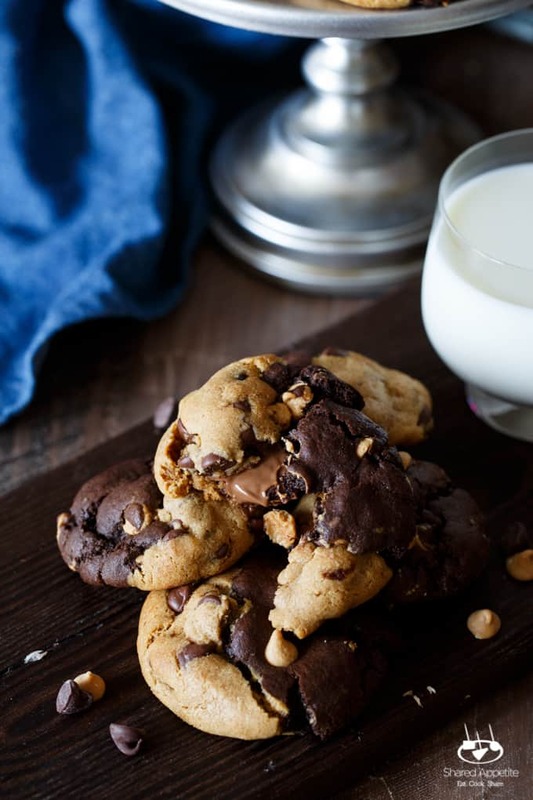 Have both with these super decadent Peanut Butter Cup Stuffed Chocolate Peanut Butter Swirl Cookies! Every day I wake up and say… today I’m going to get some Christmas gift wrapping done. And then the actual day happens. Go to work. Come home for some Olivia time. Feed her dinner and do the bedtime routine. Feed myself and Asheley. Try to ignore our exhaustion and attempt to string together enough coherent thoughts to have an adult conversation. Fail at having an adult conversation. Asheley gives into exhaustion and goes to bed. Catch up on Shared Appetite and Ashe Photography work. Oh wow, it’s 11 p.m., I gotta do this all over again tomorrow. Time for bed. Guess wrapping will have to wait. And now it’s a week and a half before Christmas and time is running out people! Don’t get me wrong. I’m not complaining. I absolutely am loving life. I love this time of year. I secretly (or not so secretly) love being busy. And don’t even get me started on how much I love being a dad. Like, so freaking much. Just look at this face. Look at it. I’m obsessed. Okay, sorry. Cookies. That’s where I was going with all of this. It ain’t Christmas time unless you are enjoying cookies at pretty much every meal. Breakfast, you bet. Lunch… a few cookies and that is lunch. One or two to tide you over before dinner. And of course a cookie nightcap before bed. Ah, the most wonderful time of year. To be honest, these Peanut Butter Cup Stuffed Chocolate Peanut Butter Swirl Cookies are the only ones I’ve made so far. I know, I’m behind schedule. That’s gonna change this weekend. Big time. But let’s talk about these cookies. They are freaking LEGIT! Like way-too-good-to-bring-to-a-cookie-swap legit. Yea, that’s right. I said it. You don’t want to go through the trouble of making these gems, then swap ’em out for some boring old sugar cookies. That would be lame. These cookies. 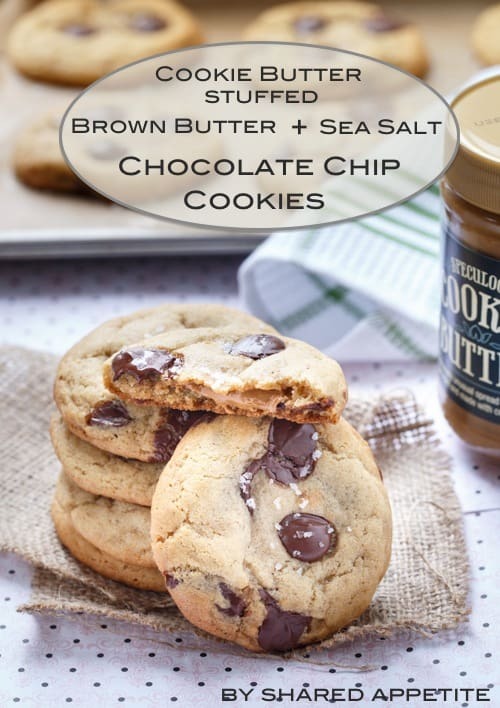 One half is a peanut butter cookie dough with semi-sweet chocolate chips. The other is a chocolate based dough studded with peanut butter chips. Now that alone would be reason for celebration. But we can do better. Grab yourself a bag of mini peanut butter cups… and stuff ’em right in the middle of these glorious sugar bombs. And while you bask in the joy that are these creative Christmas cookies, know that you are actually helping out children in need. 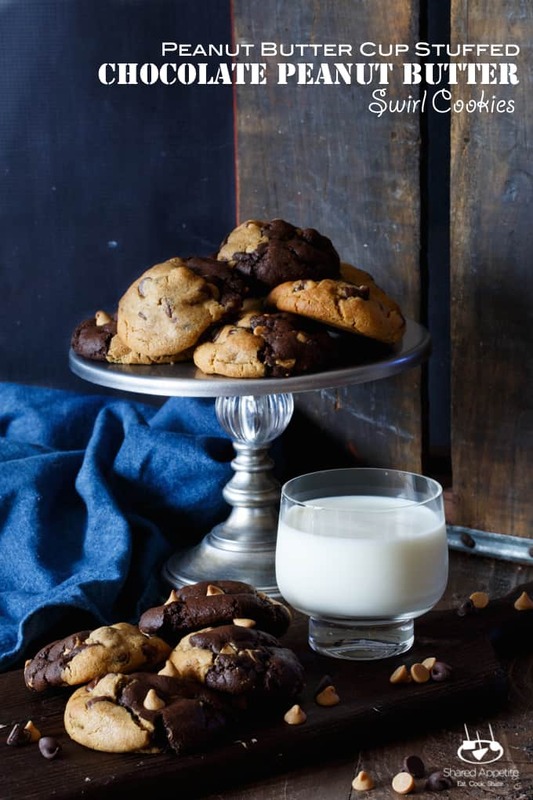 Yup… like you needed another reason to eat cookies. Now you have one. 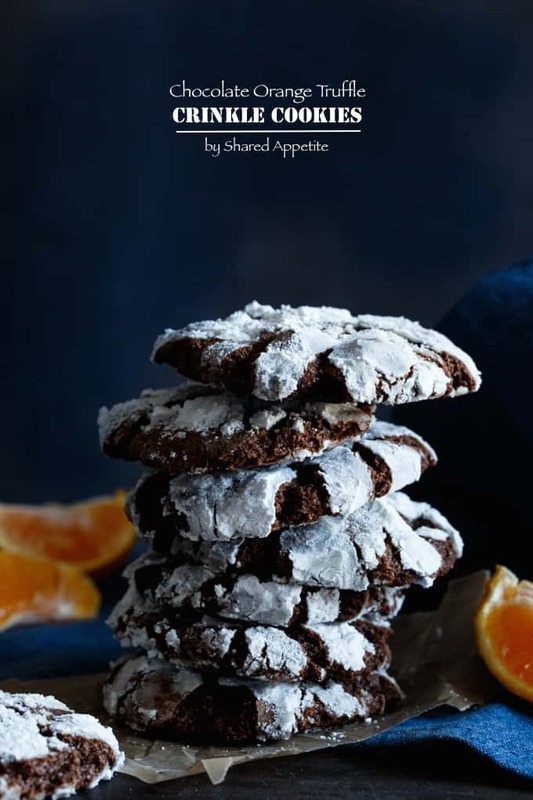 I’m SO happy to be participating in my very first Great Food Blogger Cookie Swap! It’s their 5th go around at bringing food bloggers from across the world together in celebration of the almighty cookie, all for a great cause… benefiting Cookies For Kids’ Cancer (a national non-profit organization committed to funding new therapies used in the fight against pediatric cancer). In a small mixing bowl, combine flour, baking soda, and salt. In your stand mixer or in a medium mixing bowl fitted with a hand mixer, cream together the butter, brown sugar, and granulated sugar on medium speed until light and fluffy, scraping down sides as needed. Add peanut butter and mix to until fully incorporated. Add egg + extra egg yolk and vanilla, and mix until fully combined. Slowly add flour mixture, scraping sides as needed, until just incorporated. Do not over-mix. Stir in chocolate chips. Cover cookie dough tightly with plastic wrap and refrigerate at least 2 hours, up to overnight. In a small mixing bowl, combine flour, cocoa powder, baking soda, and salt. In your stand mixer or in a medium mixing bowl fitted with a hand mixer, cream together the butter, brown sugar, and granulated sugar on medium speed until light and fluffy, scraping down sides as needed. Add egg + extra egg yolk and vanilla, and mix until fully combined. Slowly add flour mixture, scraping sides as needed, until just incorporated. Do not over-mix. Stir in peanut butter chips. Cover cookie dough tightly with plastic wrap and refrigerate at least 2 hours, up to overnight. Preheat oven to 350°F. Take a spoonful of each dough and slightly flatten each into a rough circle. 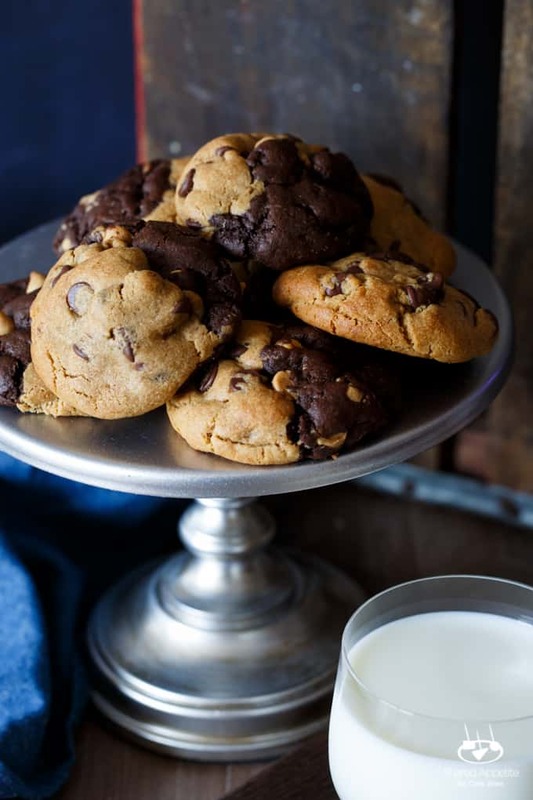 Place a peanut butter cup between them and smoosh cookie doughs together around the peanut butter cup, rolling into one large ball. Repeat for each cookie. If doughs get too warm, it will get messy, so make sure they are well-chilled and work fast! 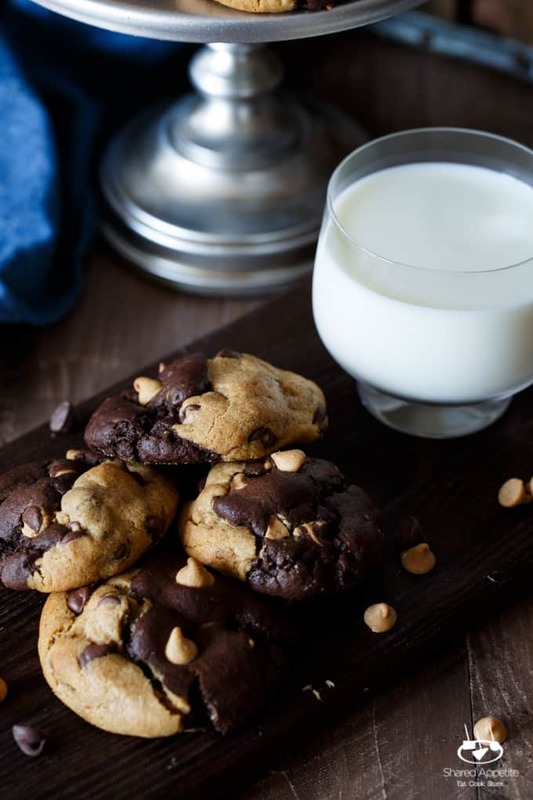 Also, if you are trying to get 3 dozen cookies out of this recipe, your goal is to use as little cookie dough as possible (just enough to totally encase the PB Cups). 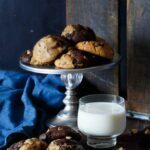 The more dough you use, the less yield you will get (although there is nothing wrong with BIG cookies!). Bake the cookies 11-13 minutes. Allow to cool on baking sheets until set, about 2 minutes. Transfer to a wire rack and if not devouring immediately, let cool completely and store in an airtight container at room temperature for up to a week. But let’s get real. They won’t last a week. And warm before eating so the peanut butter cup gets all ooey gooey! Did you make this recipe? 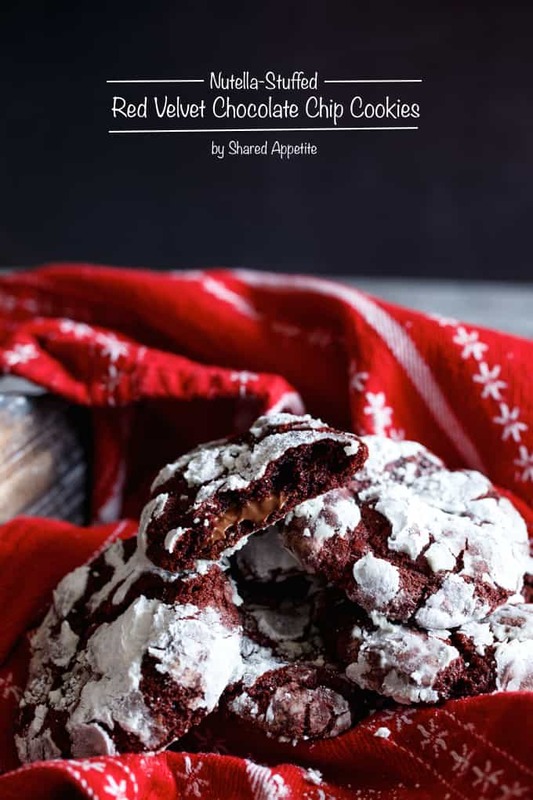 Are you a food blogger and want to get in on the cookie swap action next year? Check out the official website here. These look ridiculously delicious – I’m having trouble coming up with the words to express how much I want one right now! The folks you sent cookies to are pretty darned lucky. 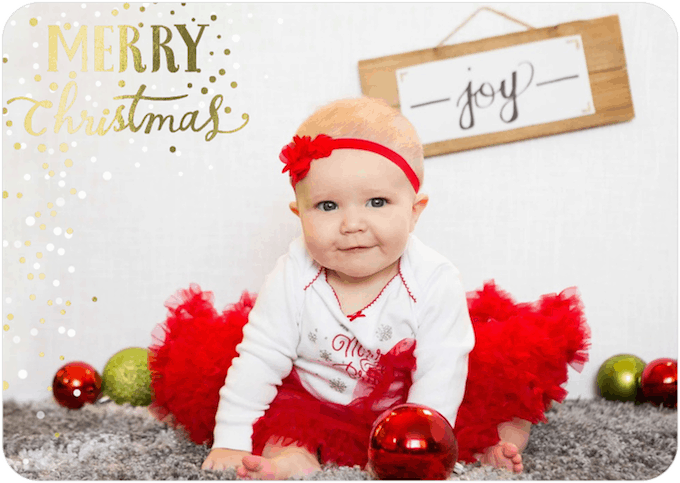 Also, Olivia’s holiday picture is SO sweet. Happy holidays (and good luck with your pre-Christmas to-do list)! Olivia is just adorable! 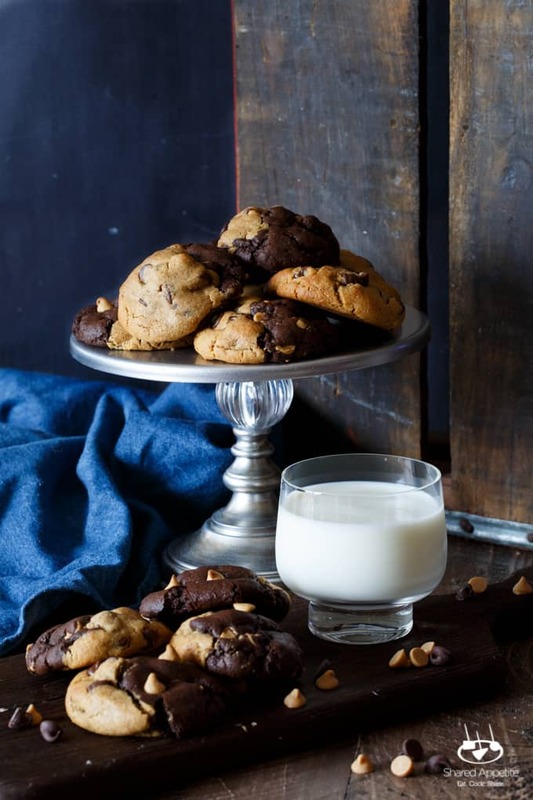 And these cookies sound fantastic! Happy holidays Chris!! Those cookies look so over the top, I can’t believe it. 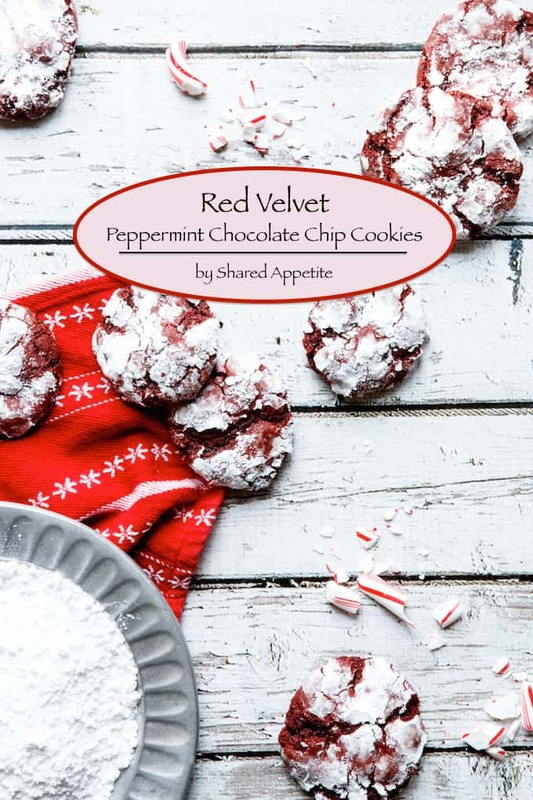 I’ve already baked all my Christmas cookies (not because I’m so on top of things … mainly because I don’t have an infant in the house to look after), but I think I should find room to crank out a batch of these before the big day. I can’t believe how amazing they look. Let's Be Friends! Subscribe and Get My Brand Spanking New Recipes Delivered Right To Your Inbox. I know! We actually do exist. Hey, I’m Chris. Husband. Teacher. Photographer. Avid lover of all things food, especially Mexican and dessert. Sharing is caring. Eat. Cook. Share.